»Forums Index »Halo Custom Edition (Bungie/Gearbox) »Halo CE Technical / Map Design »HELP Tool.exe Won't Work! Looking at the CMD.jpg you provided, it would appear that your bsp was created. Did you check \Halo Custom Edition\tags\levels\map ? Compiled tags aren't placed into the data folder. So im guessing you got win 10? That's the pc lockout approach run radiosity in tool if you still prefer to use your pc whilst running another process. Bear in mind that you would be running basic and not full lighting on your map. Whether you use data\levels\test or just the data\levels is entirely up to you. Gathering exception data is usually an ode to an error or multiple errors you have committed to your project, it could be something as simple as an incorrect field you have may have filled out in guerilla or something more serious. You must have misinterpreted the video some how. Guerilla and sapien can only ever edit tag files located within the tags directory. To clarify the data folder corresponds to items of your project which maybe edited purely outside of the engine. This includes: textures/models/text data. Or "project art". 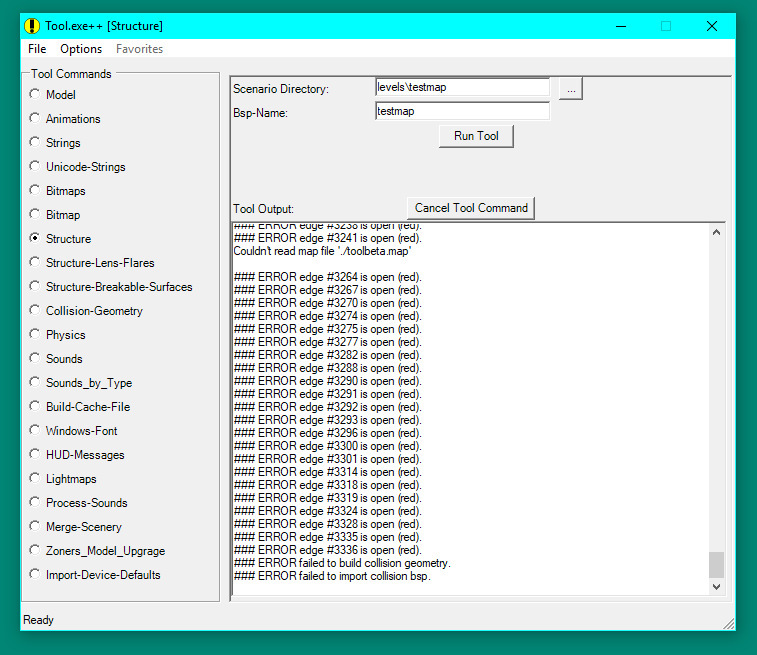 The tags folder contains halo game files or "tags" which are designed to be manipulated via sapien,guerilla or tool. If you read the official hek tutorial which is mandantorily installed with the hek all of the above will have be explained and more. It will be located within your halo root directory or you may find the online copy here. Now for the Shaders did you look in them? There is where you put your textures. And if your not qualified to help, stay quiet. Otherwise you run the risk of convoluting the matter entirely. Go down to collision material then you will see your shders. look at my 2nd post. You have to create shaders in guerilla or use stock shaders. 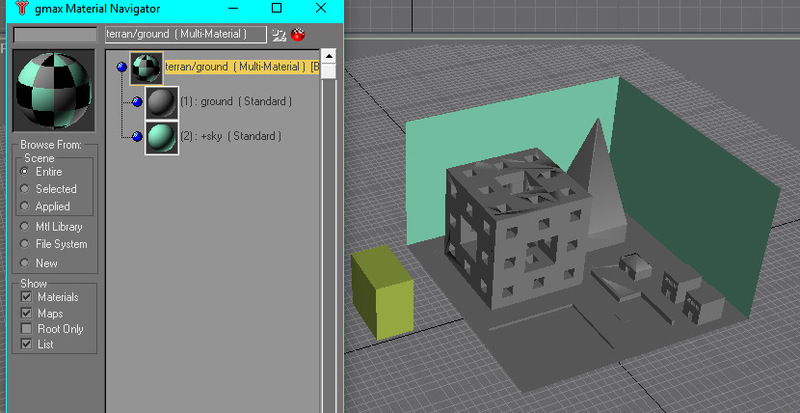 Then in 3DS max, the name of the sub material inside the multi-material needs to match the shader's name. You dont NEED to setup bitmaps in 3DS, it's for your viewing convenience. If you compile a JMS with shaders that dont have matching names, tool will say "Hey man, what kind of shader is smooth_stone? shader envirornment shader model "...etc. 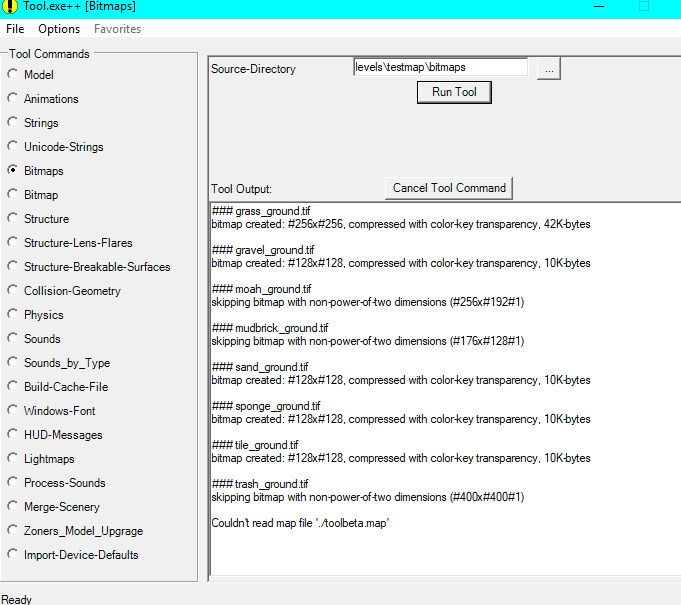 Then tool creates a blank shader, places it directly in TAGS and references it in your new BSP. 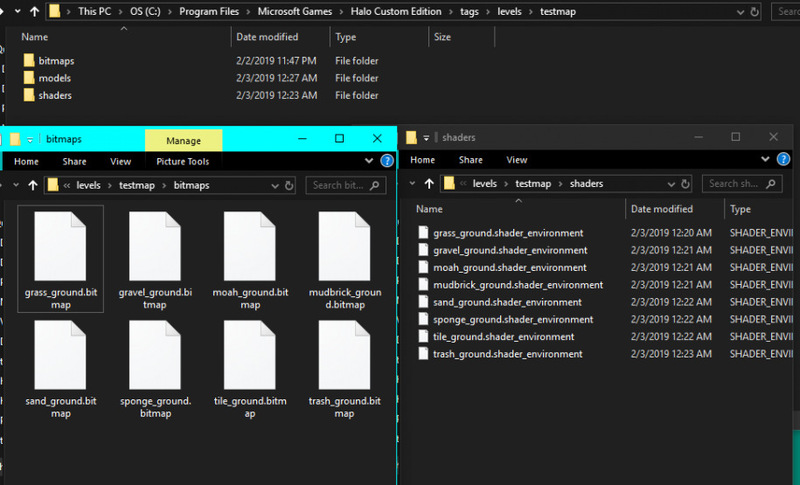 You probably don't want that, so if all your shaders are directly in your TAGS folder, move them to a subfolder, delete your BSP and recompile it. Now Tool should automagically re-reference to where you moved the shaders and be all set. Now, with that part out of the way, you didn't actually say what went wrong. What does "I'm still having trouble getting the BSP" mean? Getting the BSP....Exported from 3DS max? Compiled in Tool? Opening in Sapien? The 1.04E supports modifiers, editable polys, marker sizes and more. 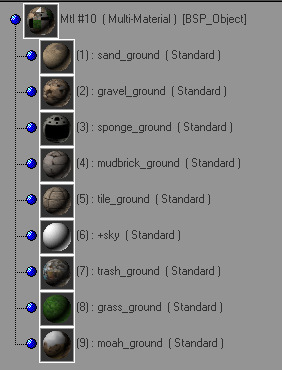 See how all your materials are named Ground? That's wrong. Each material needs it's own name. Ground should be for the grass and dirt, a single special bitmap is used for this. You might name another flat_metal. Another might be sidewalk_concrete. 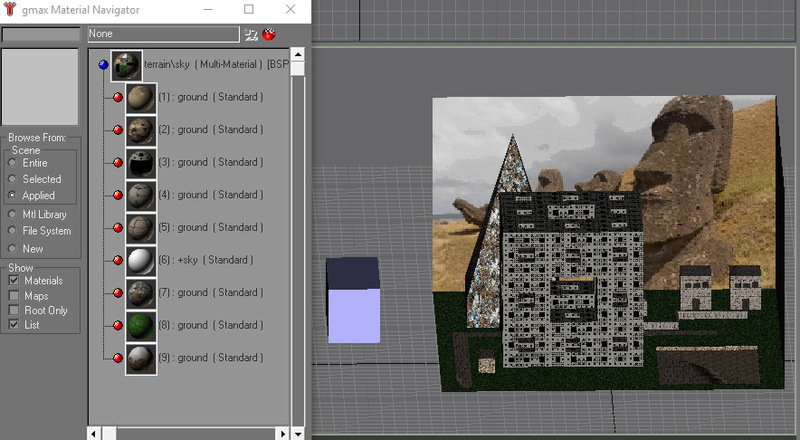 The point is you name each material in GMAX the same as the shader you make in Guerilla. GMAX has materials. These are edited in GMAX and seen in the viewport. At no point are these materials ever used by Halo. When you export the shaders using to a JMS file, using ANY exporter, the exporter writes model data and the NAMES of the materials. When you compile the JMS with Tool.exe, it reads the NAMES and tries to find a shader with the same name in your TAGS folder. A shader is for Halo. Made by guerilla, there's many different kinds. They almost all reference at least 1 bitmap. They also contain some data about reflections. A bitmap is a 2-dimensional image that contains pixel data, usually used to add visual details to a 3-dimensional model (Diffuse Maps), sometimes used to modulate lighting or reflective properties of a 3-dimensional model (Specular or Multipurpose maps). So when you create a material in GMAX, it's material name (Ground) needs to be the same as the shader you made in Guerilla. If you don't mind using the same shaders Bungie used, you can name your GMAX materials after them and you won't have to make new shaders. Bungie's shaders are in TAGS\levels\a10 a30 b30 b40 etc. The only reason to setup materials in GMAX is so you can see them in GMAX. Those materials have no effect on the end result in Halo. Also, special note since I notice you're using a sky bitmap. When you name a material +sky, Tool automagically converts those faces into the skybox. So you know how in Halo, you can sometimes get outside a level and walk ontop of invisible geometry and see the sky? Anything you name +sky becomes that invisible geometry. You'll have to use an existing sky tag, so that easter island bitmap you selected won't be displayed. Time: Wed April 24, 2019 1:08 AM 172 ms.